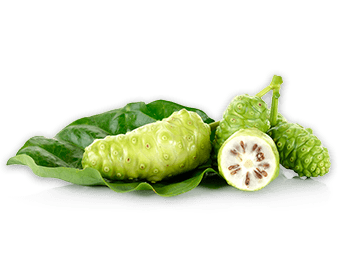 Noni fruit (Morinda citrifolia) is known as the “Queen of Health Plants” and has been used in traditional medicine for thousands of years. Noni contains numerous powerful antioxidants such as anthocyanins, beta-carotene, catechins, coenzyme Q10, flavonoids, lipoic acid, lutein, lycopene and selenium. It also contains 17 of the 20 known amino acids, including all 9 essential amino acids. Low in calories and carbohydrates, Noni contains Vitamin C, zinc, niacin, calcium, magnesium, iron and potassium.